So, How do I Fix the Broken Links…? Here is how this helps you fix the problem.. Broken or dead links on your website can ruin your SEO page ranking, damage your online reputation and even cause you to loose online visitors because they will not be finding what they are looking for. You may not have the time to manually test all links on your website, especially if your website has many pages already. 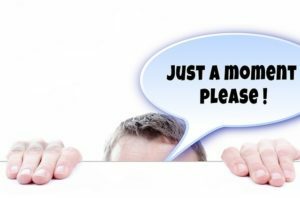 Some loyal visitors on your website, will report dead links to you However, its not easy to get visitors such loyal visitors who’ll report broken links to you always. Therefore, its important that you perform regular checks on your website to find and fix broken or dead links. In this guide, I will be showing you how you can find broken links using BrokenLInkCheck.com. Its a free online tool to check up-to 3000 pages on your site. Good thing about this link checker is; it validates both internal and external links, shows location of broken link in your HTML and reports error codes for instance 404. To start checking for broken links, visit BrokenLinkCheck.com and enter your website URL in the input provided. Click “Find Broken Link” button. You will be redirected to a page that looks like one above. Here, you will be required to input a code from a capture image. After you have correctly typed the security code in the image, click ‘Find Broken Links Now!” button to start the process. Depending on how many pages you have on your website, the process will take some time to do the job. So, you will have to wait for a while. After the job has been done, you will see “Status Complete” message displayed below the table with results of broken links. Unfortunately, this tool will not fix the broken links for you. 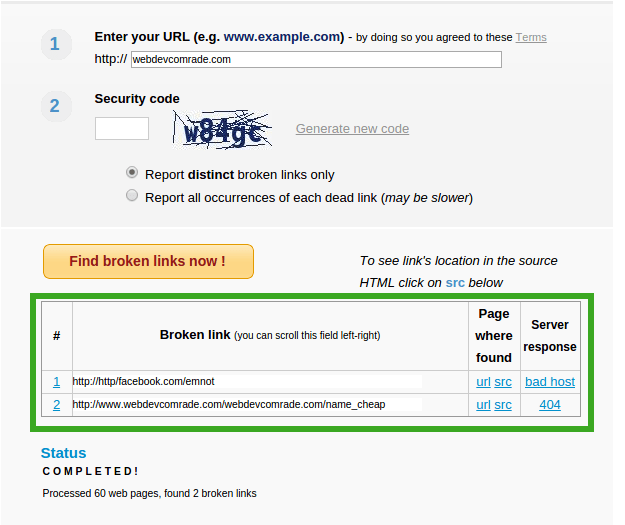 However, it will help to show you the exact location of where the broken link resides on your website. To find the page and location that has the broken link, click the “src” link on the column next to the broken link in the table. This will display the page and source code, highlighting the code block that has the broken link. You can copy this link URL, head over to the specific page. If you are on WordPress, you can edit the page in the “Text” mode in your editor (that is if you are on “Visual” mode). Use your browser or text editor to find this specific link by pasting the broken you copied in the find input box. This will take you the exact position where the broken link is, and you will be able to fix it right there. Don’t forget to save your work. Go back to broken links results, and if you have more broken links, go a head fix them all, one at a time and you will have saved your website. 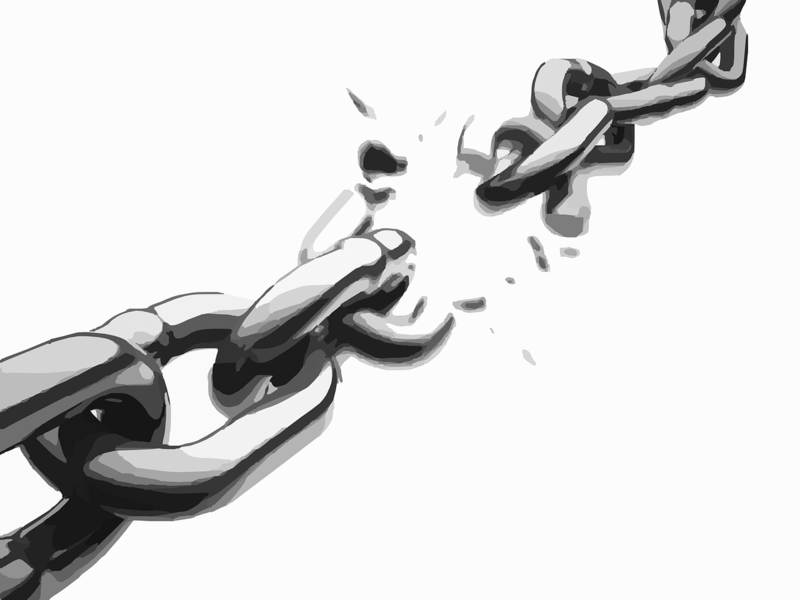 As easy as that, don’t let broken links ruin your online presance. Go fix them, in case you find some trouble, get to the comment box below and I will try to help you out.